Joel came to Common Ground as a classroom teacher in 2003. Through classes including Architecture, Documenting New Haven, El Caribe, and Power, Joel’s students explored and documented New Haven’s neighborhoods, monitored urban air quality, created bilingual oral histories of community elders, secured start-up funding for small social ventures, and presented policy proposals to state legislators. 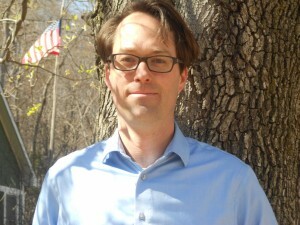 In 2008, Joel become Common Ground’s Director of Development and Community Engagement. In this capacity, he more than doubled grant revenue and individual giving, helped to launch a major capital campaign, and secured the resources necessary to grow organizational reach significantly. Before joining the Common Ground faculty, Joel worked for 5 years on high school reform and youth policy issues in Washington, DC – providing technical assistance to school districts and municipalities, writing a number of publications on youth leadership and development, and managing multi-site initiatives related to school reform and out-of-school time. He has a degree in environmental studies from Williams College, and a M.Ed. in social studies education from George Washington University.